What is your hypothesis, and how can you best set up your study in order to generate a set of microbiota analysis results, and what exactly should be analysed? Should you perhaps include fungi in your study, as well as bacteria? What does the resulting data tell us? These questions and more are answered by MiCA’s team of experts: all dedicated scientists at the forefront of microbiota research. Floor Hugenholtz is at the cutting edge of microbiota research. She started her training with molecular biology and biotechnology in Groningen and continued with her PhD training at the Laboratory of Microbiology of Willem de Vos in Wageningen University — one of the world’s best laboratories in the field of microbiota research. Her PhD studies focused on short chain fatty acid fermentation by microbiota. Since then, she obtained experience as a PostDoc in several microbiota-related research lines, such as the microbiota of an infant, mouse/gender studies, anaerobic culturing, 16S and metatranscriptome sequencing. Hugenholtz started her training with molecular biology and biotechnology BSc and MSc in Groningen. In 2010, she continued with her PhD training at the Laboratory of Microbiology in Wageningen University under the supervision of Prof. Hauke Smidt and Prof. Michiel Kleerebezem. Her PhD thesis entitled ‘Mouse gut microbiomics of short chain fatty acid metabolism and mucosal responses’ was defended successfully in January 2015. Following a PostDoc under supervision of Prof. Willem de Vos on ‘synthetic gut communities’ and a TIFN project on ‘gender and age related changes of the mouse gut microbiota’. Since 2017 she has worked at the AMC in the Infectious diseases group, where her role is to unravel the role of the gut microbiota in pneumonia. Finally she helped to set-up the Microbiota Center Amsterdam within the AMC. 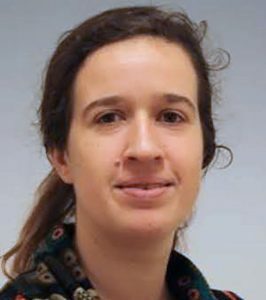 During her PhD (Laboratory of Pediatrics, University Medical Center Groningen), Herrema studied the interplay between glucose, fatty acid and bile salt metabolism in mouse models for fatty liver disease. She subsequently focused on the role of hepatic endoplasmic reticulum (ER) stress in obesity in development of T2DM during her postdoc in the Division of Endocrinology of Boston Children’s Hospital (Harvard Medical School, Boston, USA). 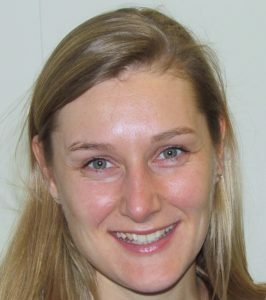 Alongside her work for MiCA, she holds a position in the Nieuwdorp group (Experimental Vascular Medicine, AMC Amsterdam), where she uses her expertise on physiology and molecular biology techniques to disentangle the role of the gut microbiota in development of obesity and related disease such as T2DM. Jorn Hartman is the main laboratory technician for the wet lab at MiCA. He extracts the DNA from the wet lab samples and prepares them for analysis. He is also responsible for developing a track-and-trace system that follows each sample from the intake of the raw material at the start until the raw data from the sequence machines at the end. His work involves giving unique ID to samples, helping calculate dilutions, library pools, library compositions, combining wet lab data with metadata. Hartman graduated in 2011 from HAN Nijmegen in the field of molecular technology. He is especially interested in molecular techniques such as DNA isolation from faecal material and PCR on specific characteristics of organisms and regions. Prior to joining MiCA four years as a microbiology technician at Wageningen University Research working on projects related to 16S. 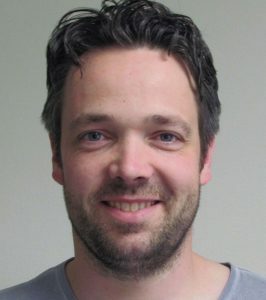 Theo Hakvoort helped to set up the fungi ITS sequencing at MiCA. Recently, he has become increasingly interested in NextGen sequencing, ranging from RNAseq, T-cell clones, microbe compositions, almost all in relation to inflammatory bowel diseases. 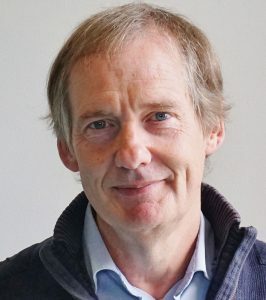 Hakvoort studied biochemistry at the BCP Jansen Institute, University of Amsterdam and earned his PhD on enzymology and protein structure related research at the same university in 1990. During the period 1988-90 (Northwestern University, Evanston, Illinois) and 1990-92 (University of Illinois, Chicago) he studied molecular biology on mitochondrial proteins. In 1992 he started research on whole body amino acids metabolisms at the AMC, Amsterdam. Mark Davids is an experienced next-gen microbiota data cruncher. In his work he places a clear emphasis on the methods rather than the biology and constantly strives to obtain the most reliable results. Davids has scientific interests which center around microbial physiology branching towards microbial genetics, ecology and evolution. He has a background in metabolic modelling and metatranscriptome analysis and he is now moving into the field of statistics related to ecology and microbiome research. Davids: “I am healthily skeptical about many claims derived from microbiota research due to my personal tendency to focus on methods rather than biology”. Davids has an MSc in bioprocess engineering with a focus on microbial metabolism. He was a PhD candidate at Wageningen University with focus on the technical aspects of microbiota metatranscriptome analysis. He implemented wet lab protocols and a data analysis platform for microbiota research at Nutreco/Trouw Nutrition. 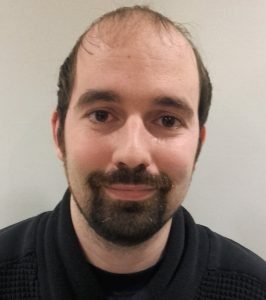 Andrei Prodan has experience in bioformatics (16S or shutgun sequencing raw reads processing pipelines), biostatistics, machine learning models (Elastic Net regression, Spectral Clustering, multilevel models) and data visualizations applied to biological questions. 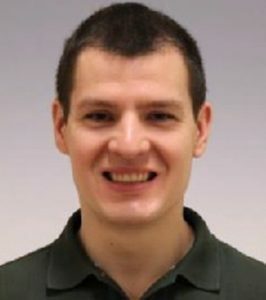 Prodan studied the oral ecosystem during his PhD at the VU University Amsterdam, combining 16S microbiome sequencing with metabolomics, peptide profiling and enzyme and antibody-based assays on samples from clinical trials to get a glimpse into the biological mechanisms that sustain oral health and resilience. For the past year he has been analyzing data from various clinical trials examining gut microbiome sequencing, metabolome and epigenetic data in connection to metabolic diseases (type 2 DM, metabolic syndrome, NASH/NAFLD).